At Jujube Australia we love to hear from you! Whether it is to compliment our sweet and succulent jujubes or simply to say "Hello!" we are always happy to receive your message. Simply enter your name and email address in the appropriate text fields, along with your message and we will get back to you as soon as possible. 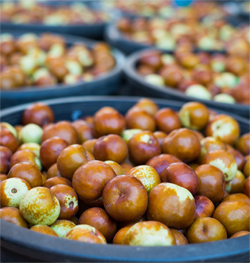 Please note we do not sell Jujube trees.